Social entrepreneurs have been referred to as business-social venture-ers, world changers through entrepreneurship, and social changers. Although not a new term to those who work and practice in the nonprofit field, social entrepreneurship is not a concept that is widely used among the mainstream. In fact, although the term seems understandable at face value, many people don't know what it means, and they should. 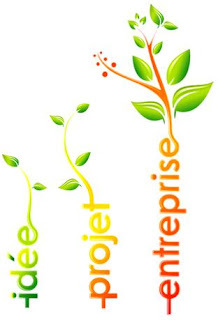 Aspiring entrepreneurs most often have no frame of reference or contact with these types of successful venture-ers and when attempting to start a social-based business, usually in the form of a charity or nonprofit, they neglect to incorporate business principles in their model and instead take the outdated, traditional profit-less charity approach. The term 'social entrepreneur' has been in used since the mid 1900s and describes someone who uses business principles to accomplish some social purpose or impose some social change, rather domestic or abroad. According to the IRS. gov Master File in the U.S., of the approximate 727,000 plus registered charities eligible to receive tax deductible gifts, the majority, approximately 55%, are reported as having earned $0 income for 2009. As evidenced by the sheer number of registered nonprofits, people have the desire to develop social enterprises. What they lack is the knowledge and financial capital to make them successful. With the advent of unprecedented unemployment and worker dissatisfaction, social entrepreneurship as a home based business has the potential to be a viable employment alternative while simultaneously solving some of our biggest social problems. Although often associated with the term nonprofit, social entrepreneurs don't have to be consumed with the hassles of corporate legal structures, reporting, and documentation. These businesses can operate as sole proprietorships and Limited Liability companies. Social entrepreneurship is the model that existing and newly formed charities must use if they are going to survive. It requires a shifting in the way we have generally thought about charity delivery. In my work as a nonprofit business coach and trainer, this idea is a difficult one to accept. People instinctively want to give their services and products away for free, with no real plan for generating revenue. They think they'll get grants and that these grants will finance their work. Nine times out of ten, this doesn't happen. 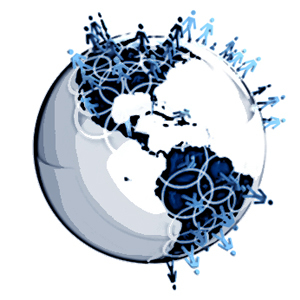 The concept is dramatically different in terms of product and service delivery. Wherein charity work is often thought of as a lack, or absence of profit, social entrepreneurship merges the science of business entrepreneurship with the science of social change. This business model offers people the opportunity to earn a living, living one's passion. More than likely developing such an enterprise or project requires starting from the ground up, or starting from scratch. There are numerous best-practices that entrepreneurs can use to build successful, profit generating social-based businesses. 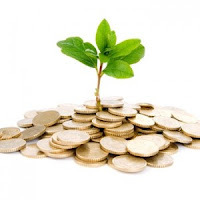 Project revenues and expenses first; if a profit is unlikely, don't bother or go back to the drawing board. If a profit is likely, develop a full business plan with market research, SWOT analysis, and marketing plan. If you decide to form as nonprofit, don't include grant revenues in your projections until you've been in business for about two years. So before deciding to launch as a nonprofit, explore a for-profit venture with a social twist. You may find this structure to be the best fit. Business Consultant, Trainer & Social Enterprise Business Owner. nonprofits raise over $1.5 million. VIEW: In each text, capture the vital and creative energy that best convey Soul Dance for our delight. *Hello, I'm Turenne / Tilarenn. 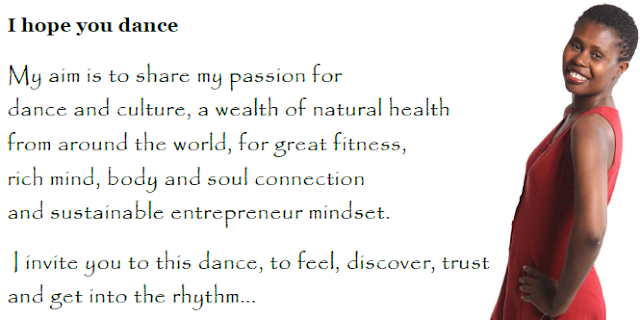 I welcome you warmly in this journey through dance, path of the universal wellness that is conscious movement revolution, inspirations to fully stir our vital energy and dance life... | **Je suis Turenne / Tilarenn. Je te reçois avec grand plaisir dans ce fervent parcours par la danse, chemin du mieux-être universel qu'est la révolution du mouvement conscient, inspirations à danser ta vie et vibrer de toute notre énergie vitale. | ***ONÈ ! Mwen rele Turenne / Tilarenn ! Se avèk anpil plezi, m ap resevwa w nan chemen kadans, chemen inivèsèl byennèt ak lafòm total kapital ki se revolisyon mouvman ak konsyans, enspirasyon pou fè kè w vibre toujou pi fò, pi solid epi danse lavi w.
"Le plus important dans la danse, c'est de libérer l'âme"
"Mwen anvi dezabiye rèv mwen anba zésèl syèl ble pou lespri m' danse..."
* I believe in honesty and integrity of relationship, opinion and identity. The views and opinions expressed on this blog are purely my own unless stated otherwise. I only endorse products or services that I believe are worthy of such endorsement. ** Je crois à l'intégrité et l'honnêteté des relations, opinions et identités. Les vues et opinions exprimées sur ce blog sont uniquement miennes, sauf indication contraire. J'appuie uniquement les produits et services que je crois digne d'une telle approbation. *** Mwen kwè nan onètete ak entegrite nan relasyon, opinyon ak idantite. Opinyon ki eksprime sou blog sa se pwòp pa mwen, sof si li deklare otreman. Mwen andose sèlman pwodwi ak sèvis ke mwen kwè merite andòsman mwen. 2019 © Copyright. Turenne Joseph (Tilarenn). All Rights Reserved. Powered by Blogger.